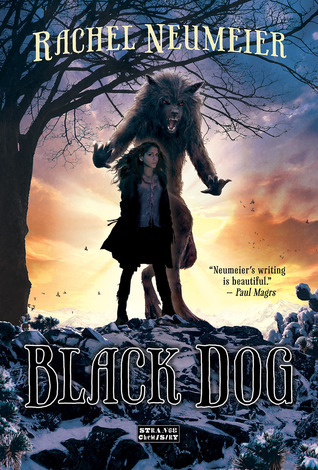 Black Dog is the first book in a new YA contemporary fantasy series by Rachel Neumeier. It will definitely be at least a duology since the second book is scheduled for release next year, but the author has mentioned she’d also like to write a third book on her blog. Once Edward Toland and Malvern Vonhausel both belonged to the Dimilioc, a powerful group of black dogs. The two enemies were both exiled, but leaving Dimilioc did not end their enmity. Even after Toland relocated to Mexico and married, his wife had to hide the two of them and their three children: Alejandro, a black dog and the oldest; Natividad, a Pure girl with the power to protect others like her Pure mother; and Miguel, Natividad’s human twin. However, Vonhausel eventually found the family and murdered the children’s mother and father, although the three siblings managed to escape. Natividad and her brothers believe their best chance for survival lies with the Dimilioc and head north to their territory in the northern United States. Since the Dimilioc value the Pure, they can at least be assured that Natividad should have a place there, although whether or not they will be willing to take in another black dog and a human boy is a gamble. When the siblings do reach the Dimilioc territory in Vermont, they find their numbers greatly diminished after the recent war that wiped out the vampires. Fifteen-year-old Natividad offers to marry any one of the black dogs of the Dimilioc, since this genetic match can provide them with strong black dogs and Pure daughters. As suspected, convincing the Dimilioc to accept Alejandro and Miguel is more difficult than persuading them to shelter their sister, but the Dimilioc Master decides to allow them to stay after testing the two brothers. He also accepts Natividad’s offer of marriage to one of the Dimilioc but decrees that she will be allowed to choose which on her sixteenth birthday in four months and that none of them can touch her until then. Ezekiel, their executioner, is not too pleased with the latter part of this proclamation and makes it very clear that he intends to be the one to marry Natividad. In the meantime, the Dimilioc make plans to bring in more black dogs and strengthen the Pack—and they’re going to need all the strength they can get when Vonhausel comes against them with a power unlike any they have witnessed before. My first experience with Rachel Neumeier’s writing was her previous novel, House of Shadows, an enchanting and beautifully written fantasy set in a secondary world. After loving that book, I was rather curious about her contemporary fantasy Black Dog. While I preferred the former, mainly because the writing style was more appealing to me, I also very much enjoyed Black Dog for its vivid world and endearing characters. The prose, particularly the dialogue, did not always work for me, but the top notch world building certainly did—and the more I reflect on it and reread parts of it, the more excited I am to read the sequel. The highlight of Black Dog is the world: it’s vast and it has a history, but these are integrated into the story. Past events are revealed in a way that flows naturally, and they also have an effect on the present. The situation Natividad and her brothers are in at the beginning of the book is the result of a conflict involving their father before they were even born, and both their problems and Dimilioc’s are related to a recent war against the vampires. One of the obstacles the Dimilioc face is change and adjusting to the aftermath, which requires that they evaluate eliminating some of their long-held traditions. There’s also some much older history related to the Pure mentioned, and I have a suspicion this will be important as more of Natividad’s story unravels in the next book. Even though this novel focuses on a fairly small, close-knit group of people, there’s scope and it’s quite clear there is more to this world than these characters and what happens to them. Given that there are references to previous major events and other parts of the world, it seems as though there are many stories that could be written in this setting and much more to explore in other installments. After the world, the novel’s biggest strength is its characters. In particular, I enjoyed the sibling relationships and how the three desired to protect one another—and were each capable of doing so in their own different way. Alejandro has physical strength as a black dog, and Natividad has her magic and abilities to calm and protect. Miguel, the only sibling who is not a point of view character, does not have any extraordinary powers as a human, but his advice and insight are invaluable (and he’s learned to be pretty good with a pistol, too!). The other characters from Dimilioc are not as developed, but many seem to have interesting backgrounds and I’m hoping to learn more about some of the newer members in the next book. I’m also intrigued by Ezekiel, even if I do find his sudden attachment to Natividad somewhat creepy. Ezekiel is in some ways nearly too perfect since he’s an exceptionally strong black dog who became their executioner when he was barely even a teenager, but he also seems to be somewhat isolated and lonely due to his exceptional qualities. By the end of the book, I was quite curious about his story and why he’s so drawn to Natividad, and I even found myself rather interested in finding out if he’d win her over in the next book, despite some misgivings about this attraction. In general, I had some reservations about Natividad agreeing to select a husband at only 16 years of age, even though it was her suggestion and her choice. Overall, very little of this book is focused on Ezekiel and Natividad, but I’m guessing there will be more focus on them in the next book. It’s not a grim book, but the mythology is rather dark since black dogs are at war with their nature. While I’ve read similar concepts in books focusing on wolves, this particular internal conflict seems much stronger than others I’ve read about. At one point, Natividad chastises someone for damning a black dog, explaining “Black dogs walk so close to the edge of Hell anyway. Never damn a black dog, it could happen, do you see?” (pp. 217) The black dogs are closer to hellhounds than wolves, and it takes a lot of control for them to learn to refrain from killing people. My biggest issue with this novel is that the writing was a little casual for my taste. The dialogue is realistic and reads the way people speak, but that style is one I don’t always find easy to read. It uses “alright” a lot and there were many words emphasized in italics throughout the narrative. While there were a few times this grated on me, it wasn’t a huge problem for me, especially once I became interested in the story and finding out what happened next. Even though I had a few nitpicks about the prose style, I did very much enjoy Black Dog. 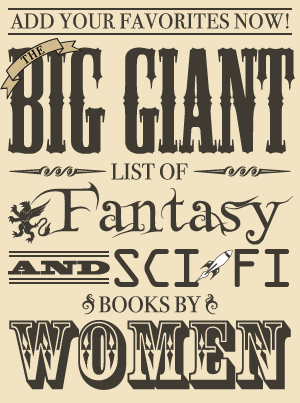 The world is epic, the characters intriguing, and the end had some promising developments that left me eager to read more in the next book. Where I got my reading copy: From the publisher at the request of the author.